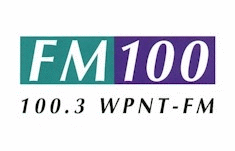 In late 1996, rumors began swirling about the future of WPNT 100.3 FM in Chicago. One of the more interesting theories presented had Evergreen (WPNT’s owners at the time) debuting a CHR/Dance format, modeled after WKTU/New York, which the company had debuted in February 1996 and had become an instant ratings success. Someone at CBS-owned CHR/Rhythmic WBBM 96.3 FM “B-96” must have heard this rumor, because in late 1996, B-96 adopted a slogan of “Chicago’s Dance Beat” and began placing a heavy emphasis on Dance music, trying to send the message that it was THE home for Dance music in Chicago. But, that rumor never materialized. Evergreen (which became Chancellor Media) eventually sold WPNT to Bonneville. WPNT’s Adult CHR format was known simply as “Chicago’s 100.3” in its final days. On October 1, 1997, Bonneville debuted WNND “Windy 100”, which offered a Mainstream Adult Contemporary format, designed to compete with longtime market leader WLIT 93.9 FM.